When I was a child, my dad bought me a map of the world. It was giant and I'd spread it open like a carpet to lay on it. I don't think I understood then how vast the world truly was as I'd search the U.S. states and tried to memorize their capitals. In fact, it wasn't until our road trip around the country last year and then standing in Black Rock Desert this summer that my mind finally started to grasp the immensity of this planet. How one person is to explore all she wants to see is still beyond me, but a girl can continue to search and dream as her slight obsession with maps and travel slowly grows. It's in that same wanderlust spirit that my heart skipped a beat when 1Canoe2 Letterpress announced their super limited-edition handpainted globes featuring their custom artwork on five unique pieces. I'm so in love with these you don't even know. 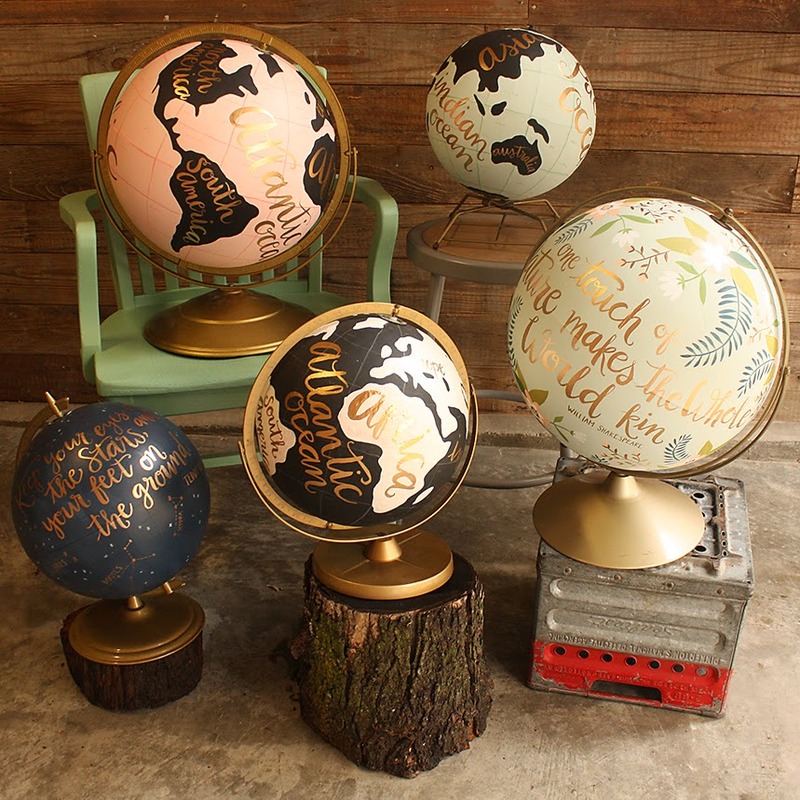 The ladies of 1Canoe2 will be auctioning off one globe a week starting November 11 and hosting a giveaway for a free globe until Nov. 8 at noon (that's tomorrow!). Visit their Facebook page for a chance to nab one for your own.